Within a single healthcare facility, there can be many specific environments, each with a unique set of requirements. Our products and services can accommodate them all. The physical environment plays a key role in healthcare. A space supports the activities of caregivers and enables the comfort of patients and family members which can profoundly impact care quality and patient satisfaction. We promote healthcare products based on their experience. We ask questions, listen to issues, and study their desired outcomes to uncover new insights that can improve the healthcare experience for all. One of the most important roles a guest can play when visiting a family member in the hospital is enhancing that patient’s safety. 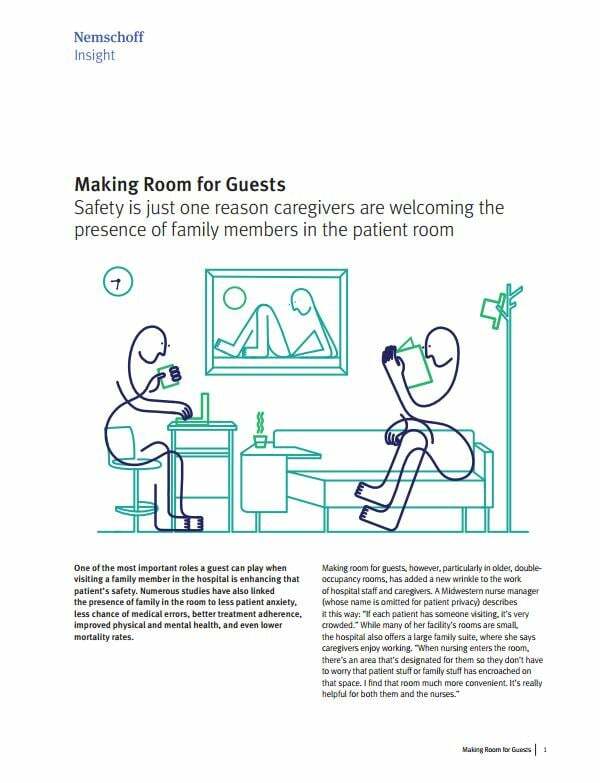 Numerous studies have also linked the presence of family in the room to less patient anxiety, less chance of medical errors, better treatment adherence, improved physical and mental health, and even lower mortality rates.